Triumph T140, prefer right hand gear change, or early left hand change up to 1976, nice condition, or for restoration, good price paid for the right bike. 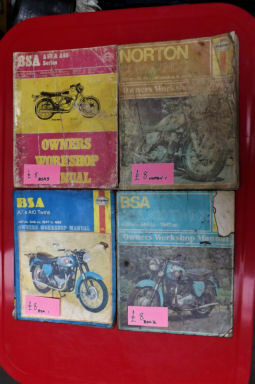 Here we have some Haynes manuals, they are priced accordingly, based on cover/page/condition/rarity, all pages are present, but some will have finger marks on. Some of them are hardly marked at all, all of them are totally readable.